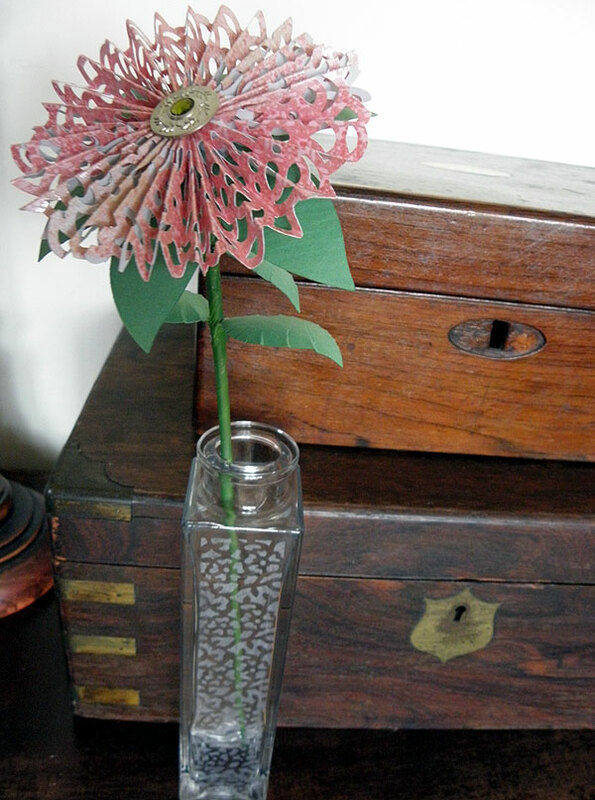 Paper flower in an etched vase using Dotty Lace and Rose punches. 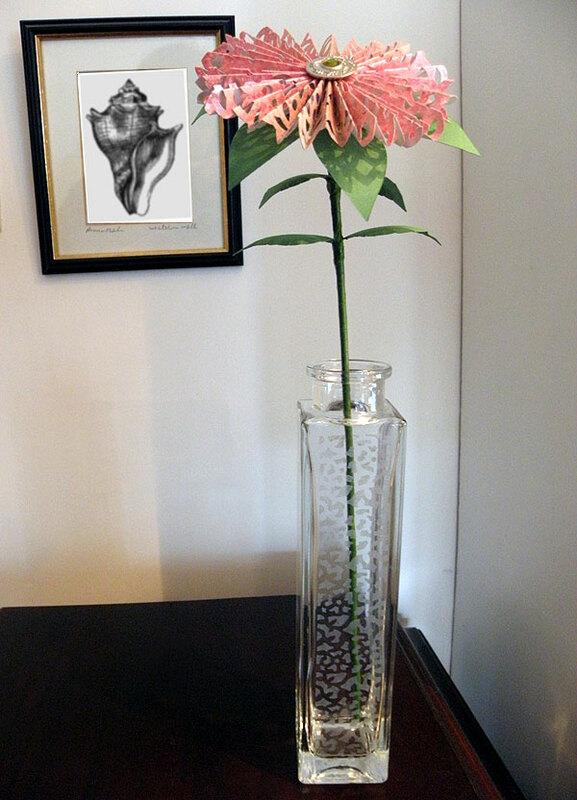 I etched the vase by punching a strip of self adhesive vinyl with the rose border punch. I applied some masking tape around the edges and then used Armour Etch to etch the design. 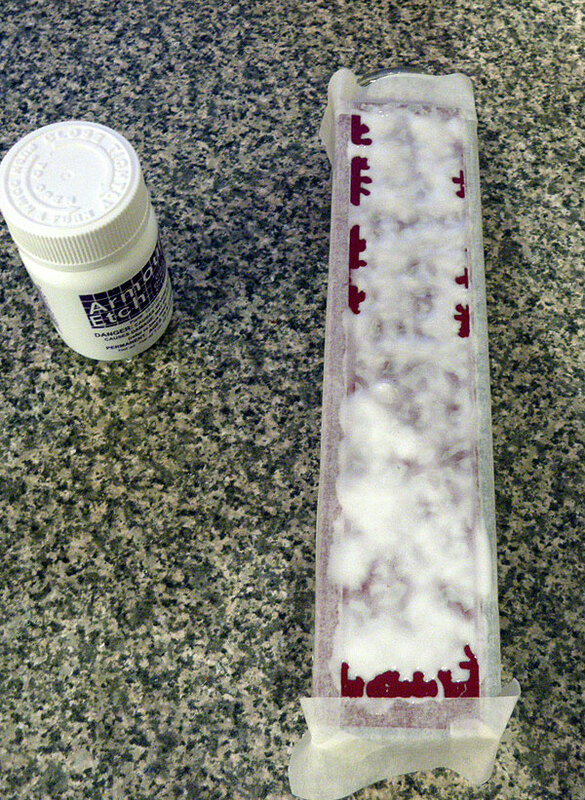 There are various glass etch creams available on the market. Make sure to follow each brand's instructions carefully. When it's done, rinse off the cream, peel away the vinyl and masking tape...and you're done. I further highlighted my etching by buffing on some pewter gilding wax. The wax only sticks to the etched parts. Are you ready for the launch? Have you set your recorder, or will you be watching live? 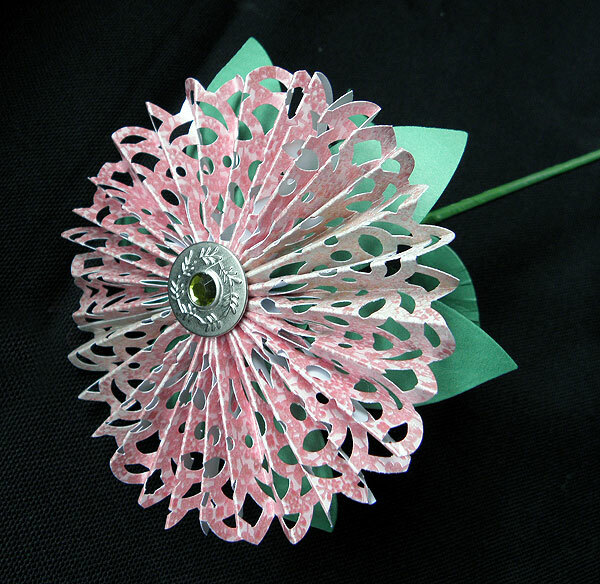 Watch Jodie today, on Create and Craft TV at 12 noon.